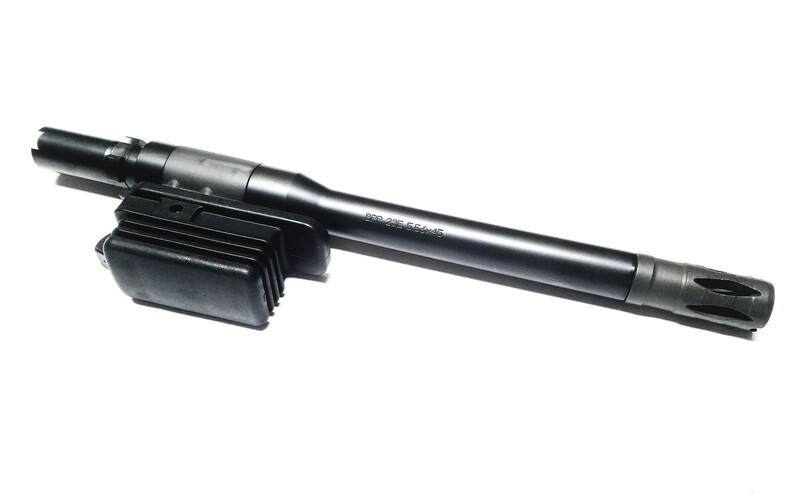 Factory new production Beltfed Precision Products 10" 23EK Barrel assembly complete with barrel handle assembly. 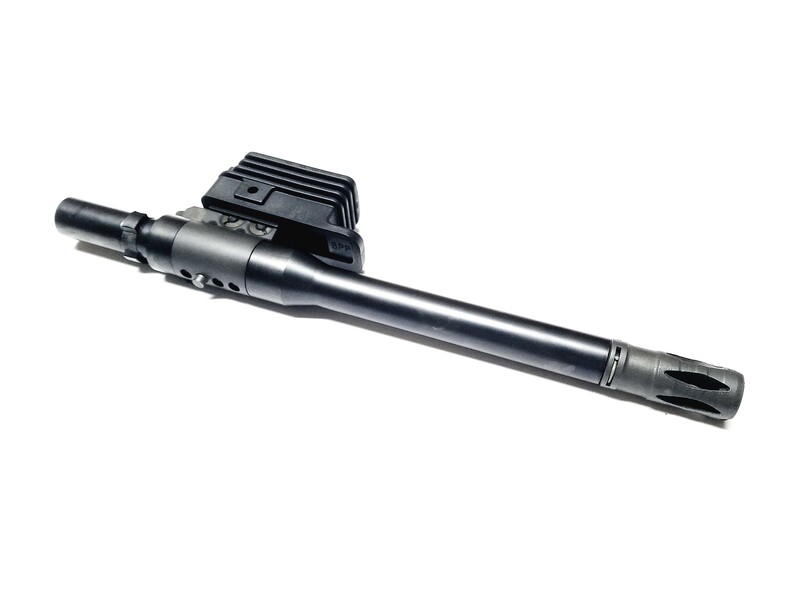 Barrels feature 1x9 twist, light profile contour, nitride finish for durability. Perfect as a spare, or to swap for long strings of fire to prevent overheating or damage. 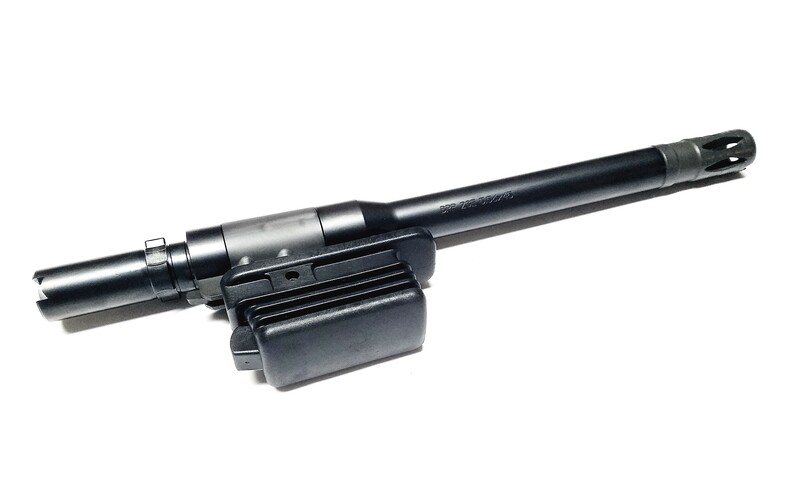 Barrels are compatible with the HK23EK, HK13K, BPP23E, BPP23Ek, BPP13K system and factory barrels are getting extremely hard to find.